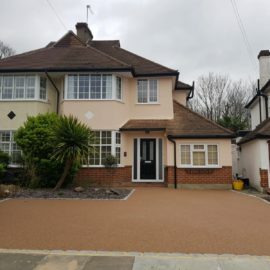 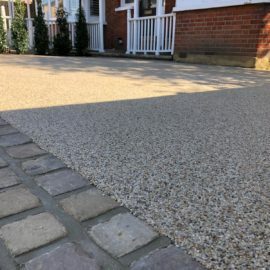 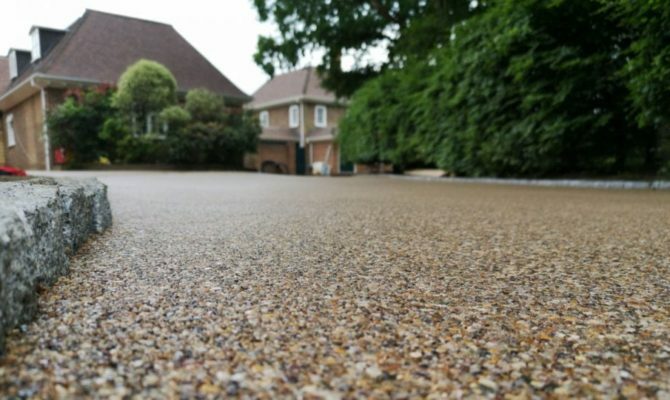 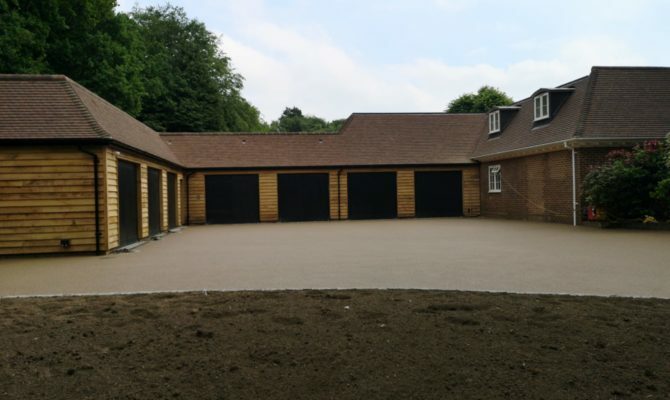 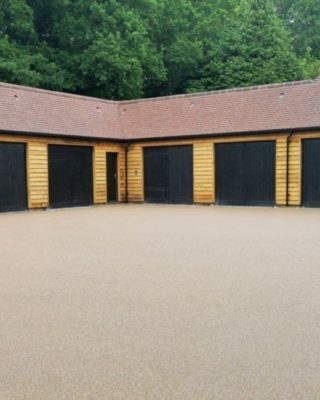 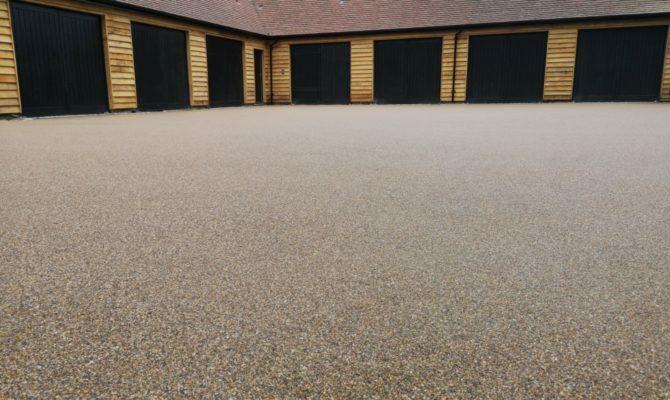 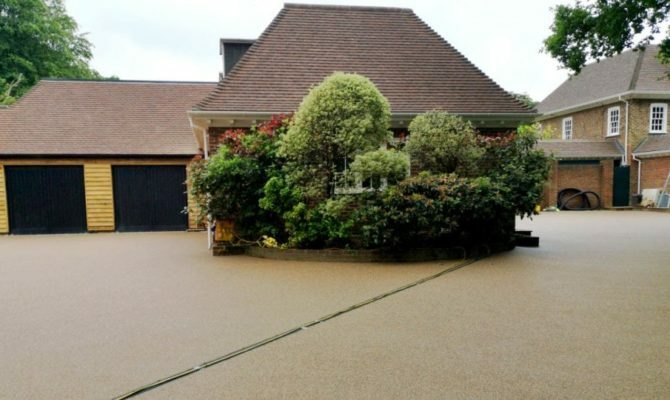 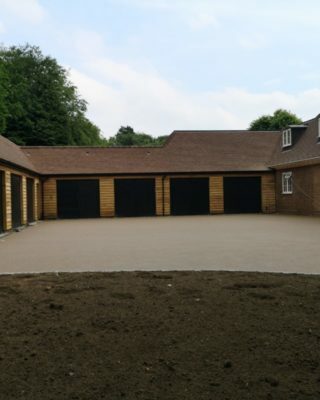 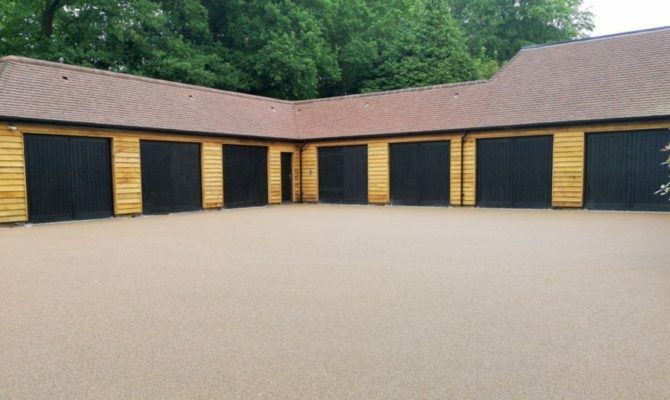 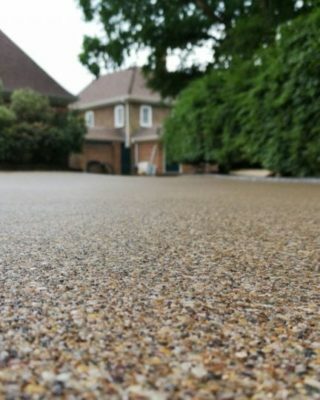 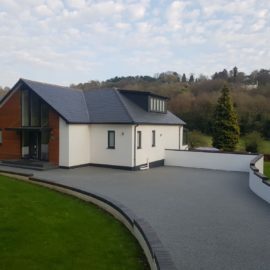 TTS Surfacing Limited recently completed this Natural Tan Resin Driveway in Guildford, Surrey measuring 650m². 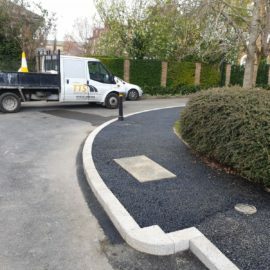 Key put and prepare area in preparation for new surface. 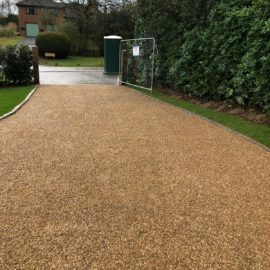 Supply and lay macadam to build up levels where necessary in preparation for resin bound wearing course. 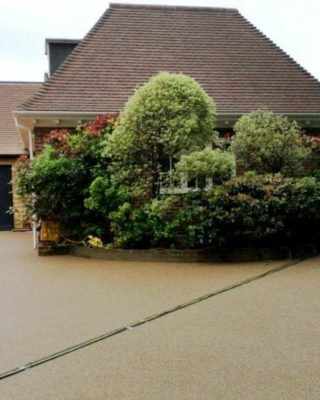 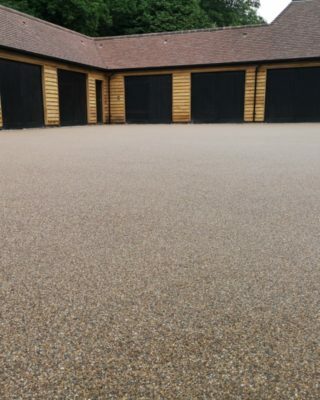 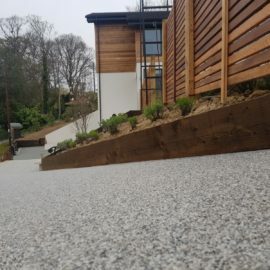 Supply and lay 18mm of Natural Tan Resin Bound wearing course.